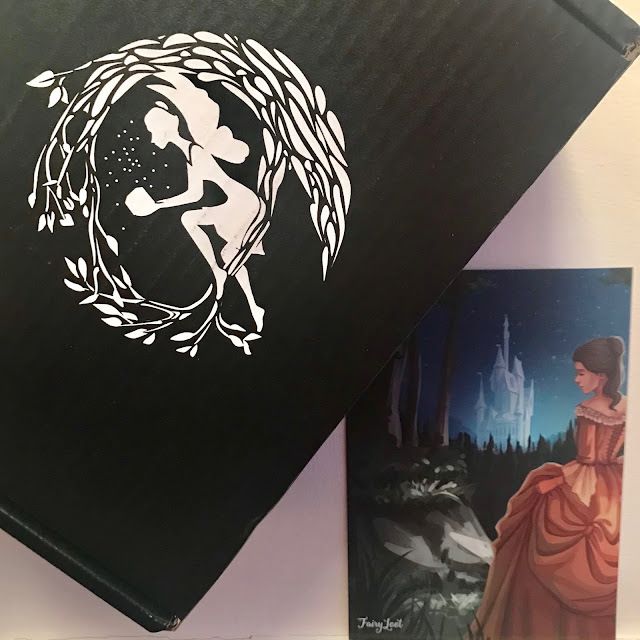 Feeling Fictional: Fairyloot Unboxing - February 2019 "Beauty and the Beast"
FairyLoot February Box "Beauty and the Beast"
I'm a HUGE Beauty and the Beast fan so there was no way I could resist the February FairyLoot box, especially after I was so happy with the December dragons box. 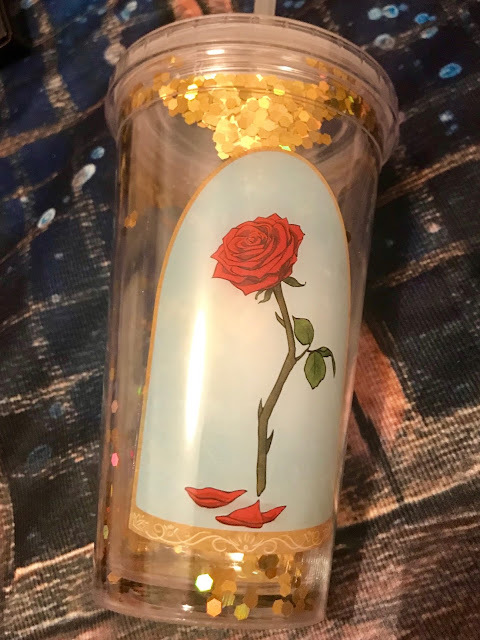 I honestly expected to love everything about this box, I mean how can you go wrong with a theme like Beauty and the Beast? I've seen a lot of love for this box online so it looks like I'm in the minority here but I was so, so disappointed with this one. Apart from the book there isn't a single item in here that I'd actually have chosen to spend my money on, there are a couple of items that are okay but I can think of a million ways this box could have been improved. 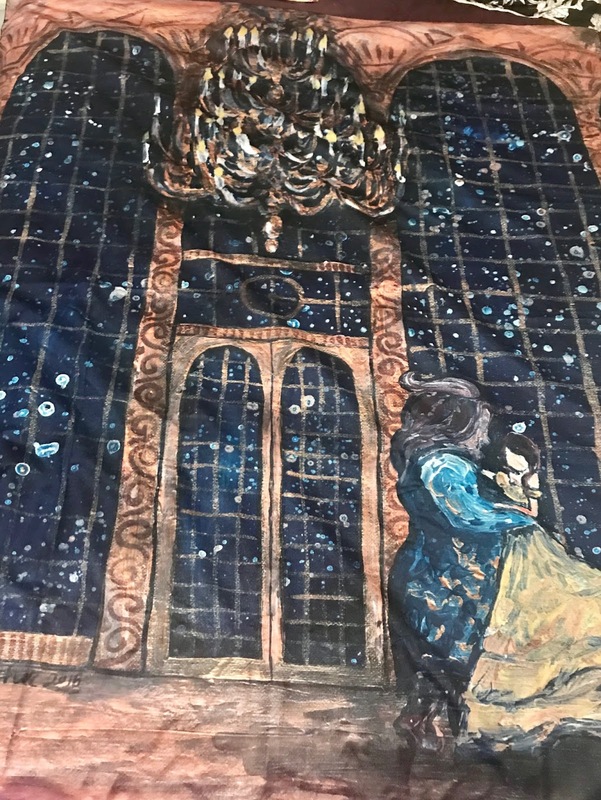 The first item in the box was this HUGE wall tapestry with a design based on the ballroom scene from the movie. It doesn't really make a good wall tapestry unless you have a lot of spare wall space though (anywhere I had this much wall is now hidden behind a bookcase!). Size wise it's big enough to completely cover a standard double bed apart from the pillows so it's more like a bed throw than a tapestry. My biggest issue with this is the design though, I just think for such a beautiful scene this is a really dark and dreary design - the predominant colour is navy blue FFS! That glorious golden dress, the romance of the scene and in my opinion it's completely ruined by this depressing colour scheme. Next we have this plastic tumbler which is okay but I don't think it's anything special. It's full of glittery sequins but they're all stuck together in big ugly clumps that don't look particularly attractive and I don't think the design is anything new or different. I've seen nicer tumblers going cheap in my local supermarket to be honest. Then we have this little trinket dish with a quote from the movie on it. It's nice enough but not really one of the most obvious quotes to use, there are many others I'd have preferred. 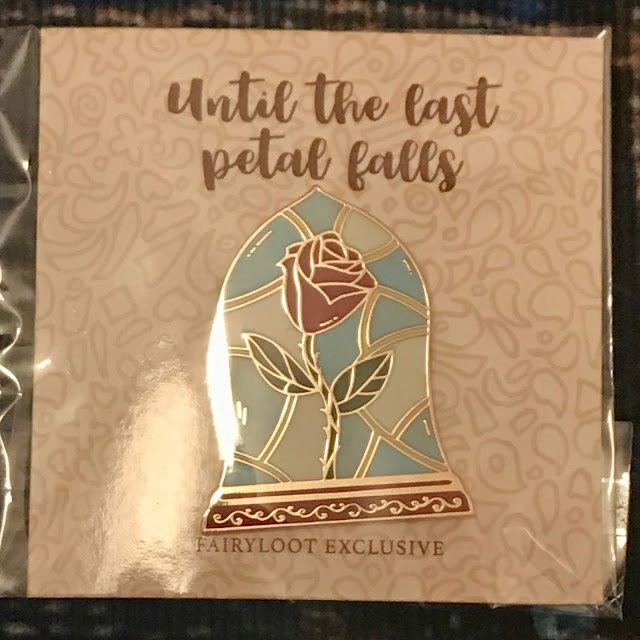 Nothing about the design or colour scheme particularly screams Beauty and the Beast to me so if you didn't recognise the quote I don't think you'd associate it with the fandom. Next is this little roll on perfume inspired by Mrs. Potts, it smells like vanilla and is probably one of the nicer items in the box but again it's not really something I'd have purchased separately. This enamel pin is probably my favourite item in the box apart from the book, it's so obviously inspired by the show and is really pretty. 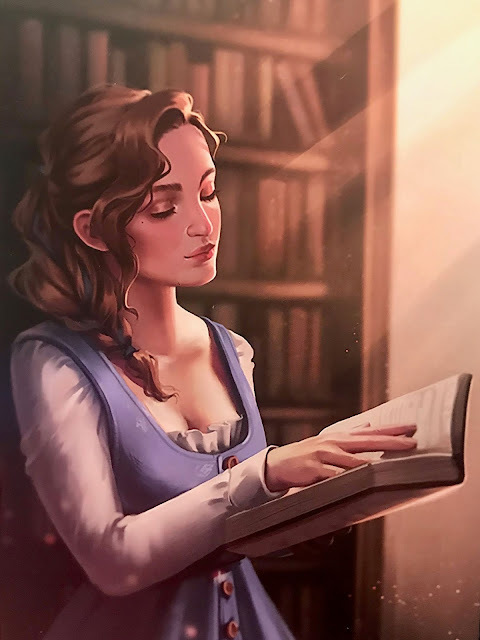 I also really like this Belle print but I have so many of these now and nowhere to display them all so I always think of prints as a fairly useless item no matter how pretty they are. The one thing I'm really excited about is the book, I've heard great things about this Beauty and the Beast retelling and I can't wait to read it. 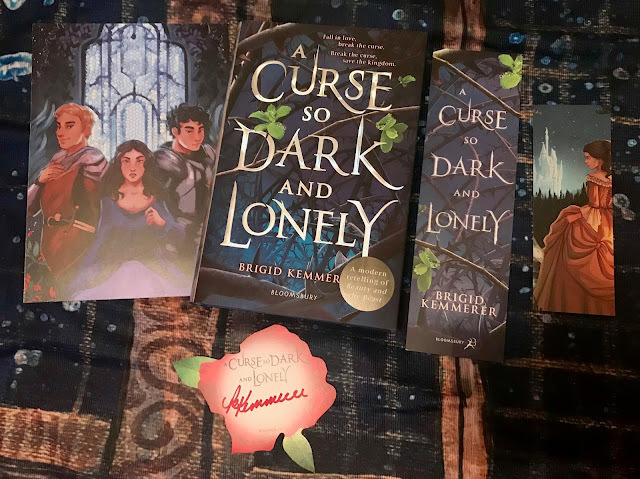 I love the little rose shaped signature bookplate and the artwork on the back of the author letter too. 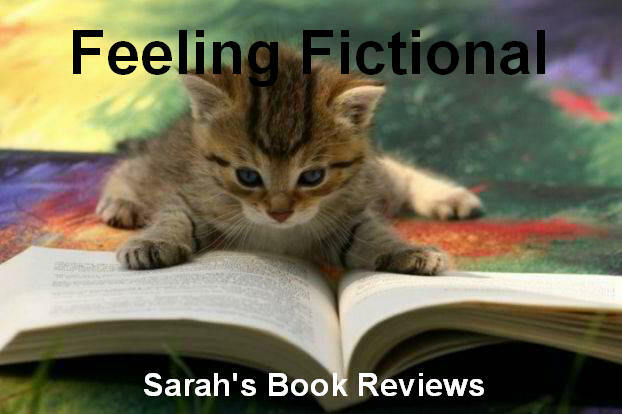 This is an exclusive hardback too, the UK edition of this book is only being sold elsewhere as a paperback so that makes it more of a collectors item. 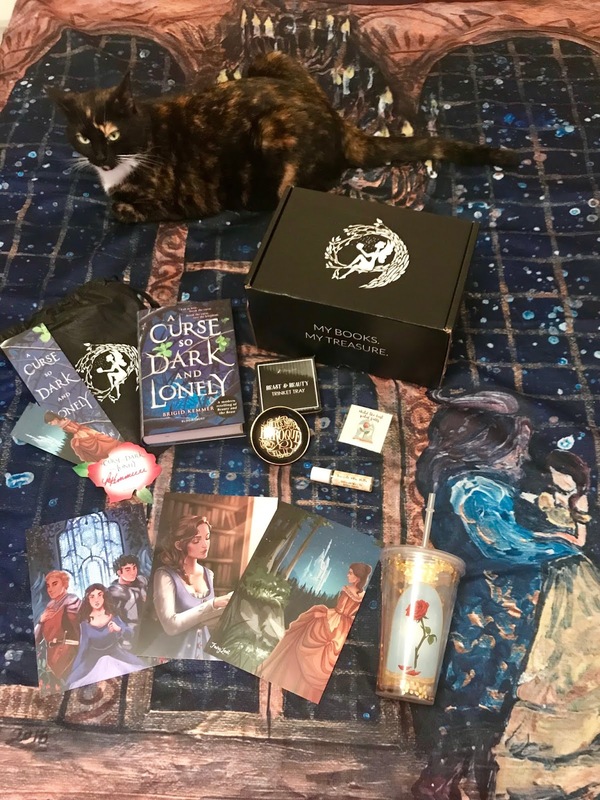 So that's all of the contents of the Beauty and the Beast box (with an additional cat since Sparrow refused to get out of the way so I could take the picture LOL). What do you think? 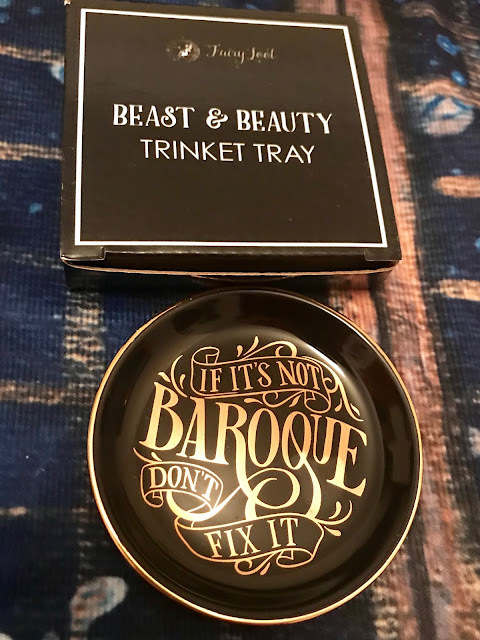 The only two items I'd probably have purchased myself are the book and the enamel pin so for me this box definitely wasn't worth the over £30 I spent on it but all the other comments I've seen online about this box have been extremely positive. I think it's probably time for me to take a step back from Fairyloot again for a while, I like the mystery of receiving these boxes but it's very rare that I think they're good value for money as there are always at least a couple of things I wouldn't choose to buy separately. 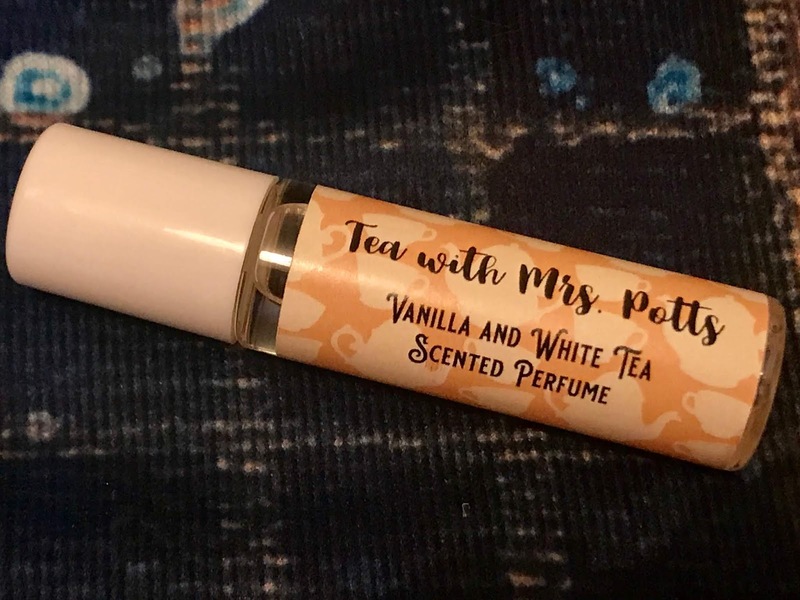 I'm probably better off spending my money on Etsy picking and choosing items that really appeal to me that I'm going to actually be excited to receive. Swoon, this box looks incredible. 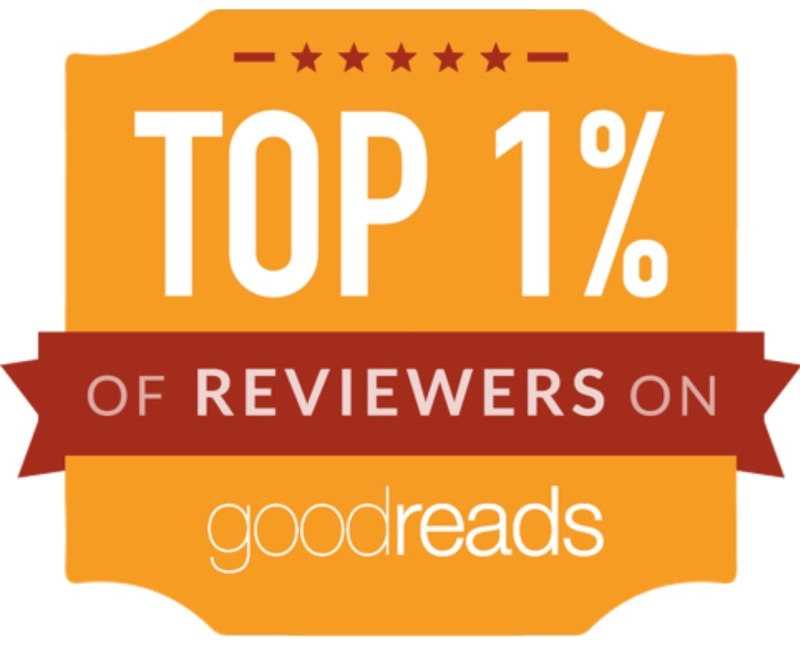 I can see why you're not altogether keen on the tumbler, though.